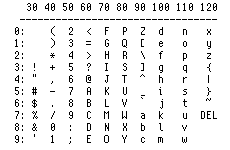 Another 12px monospace bitmap font. KakwaFont is a 12px monospace bitmap font based on Terminus. I found Terminus too wide, so I have changed most glyphs in order to have thin and clearly seperated characters. The result is a clear font, well suited for programming and terminal. KakwaFont is licensed under the SIL Open Font License, Version 1.1. The license is available with a FAQ at scripts.sil.org. Kakwafont is maintained by kakwa. This page was generated by GitHub Pages using the Cayman theme by Jason Long.